AVID Healthcare, LLC would not be where it is now without our devoted, hardworking, and passionate staff members. 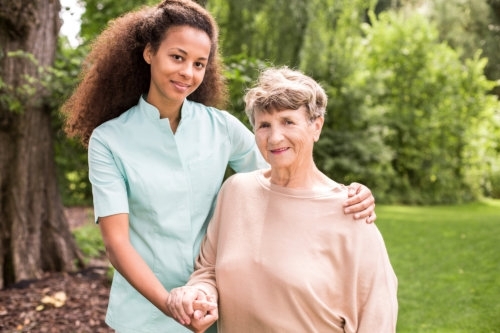 We are composed of a multidisciplinary team of Registered Nurses, Licensed Practical Nurses, State Tested Nursing Assistants, Certified Home Health Aides, Medical Social Workers, and other staff members whose contributions are vital to our continued success and high quality of care. Mr. Parker received his Bachelor’s degree from The University of Akron in 2004 and his Juris Doctor and Master of Business Administration degrees in 2006. Mr. Parker has worked in many facets of health care and relies on this experience, in conjunction with his experience in the labor relations field, in his decision making responsibilities as the Chief Executive Officer of AVID Healthcare, LLC. Mr. Parker enjoys visiting with AVID’s patients and providing them with the opportunity to reflect on their lives and share their past and present experiences. Mr. Parker believes that providing skilled nursing, home health, and therapy services to the elderly and developmentally disabled community allows him to fulfill his purpose in life of helping others. Nurse Reed has over 30 years of experience as a nurse in the Akron area and has taught as an instructor of nursing for the last 20 years. Nurse Reed is a caring, competent, and extremely professional nurse and requires the same characteristic in the dedicated group of Nurses, STNAs, and Certified HHAs that she manages. Nurse Reed is responsible for assuring regulatory compliance with all applicable laws, completing in- depth initial assessments with new clients and supplemental renewal assessments with current clients, supervision and reviews of license practical nurses and home health aides, and maintaining the high standards of care required by AVID Healthcare, LLC.